​​My name is Taegan and I am 9 years old. I think it is a good idea to raise money to buy books for children who are involved in emergencies. We could load ambulances for children who are hurt and scared. It would take them on adventures and take their mind off of the emergency. Then I would load shelters with books for people that have to stay there in natural disasters. Thats how I'm going to make a difference in the world. Donations to ambulances, hospitals, and shelters. Children get a new book if they are transported by an ambulance. Children who are seen by emergency personnel also receive a book. New books are supplied to children's floors of local hospitals for children who are seen in emergency rooms or overnight stays. New and like-new books are donated to shelters for children who have to stay there. Children who stay in mental health hospitals have new and like-new books to read during their stay. This all started with a go-fund-me page. 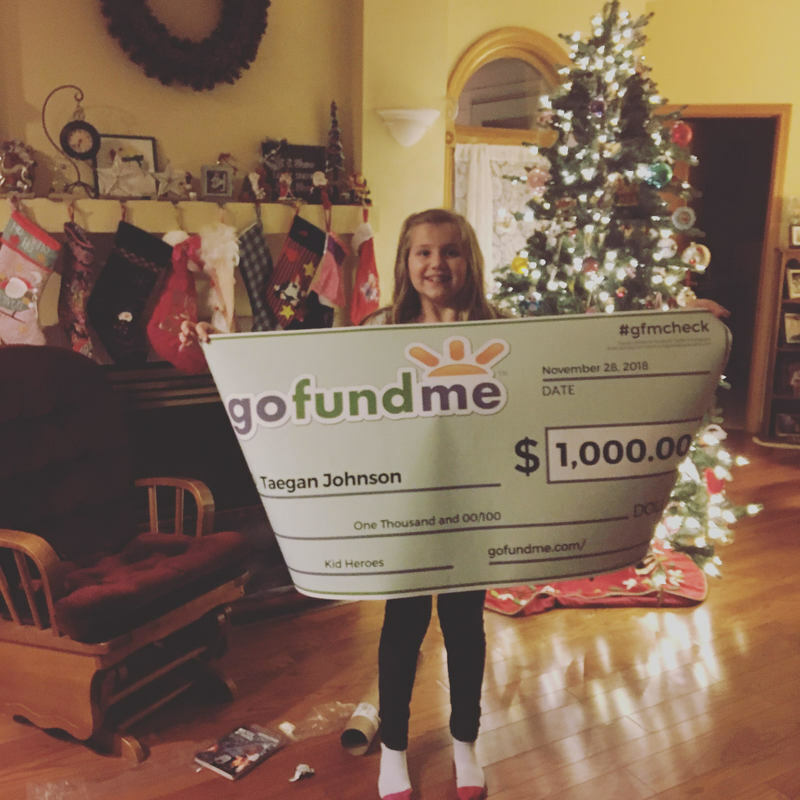 Taegan was named a Kid Hero by the gofundme organization in the fall of 2017!